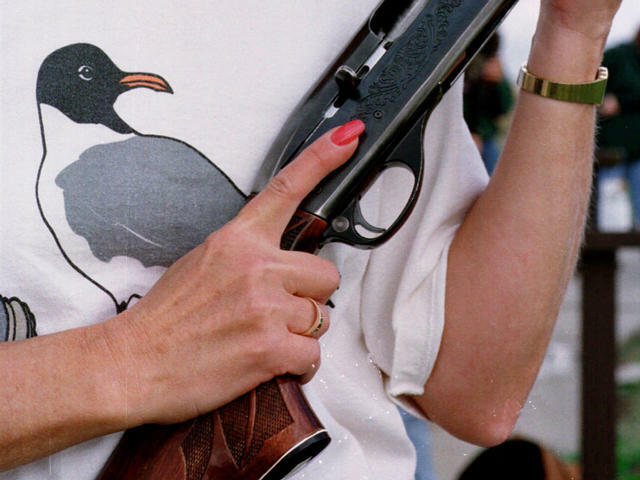 Shotgun incident also called a "Christmas miracle"
MEDINA, Ohio -- A 75-year-old Ohio woman was struck with birdshot when her husband accidentally fired his shotgun in the house - and that, it turns out, was a good thing. Charlene Ross' 77-year-old husband told authorities the shotgun went off Sunday at their home in York Township, in northeast Ohio, when he was checking to see if it was loaded. He told deputies he was getting the gun from a closet because he wanted to use it to scare off geese from a pond on their property. Instead, the stray birdshot struck his wife while she was sitting in a recliner. Charlene Ross was taken to an Akron hospital, where she was listed in serious condition Friday. Now for the good news part: When she got there, doctors treating her found a previously undiagnosed heart problem. Steve Ross, the couple's son, told The Medina County Gazette his family considers the outcome "a blessing on two fronts" - that his mother was nicked in the neck by only one tiny pellet, and that doctors then discovered she had an abnormal heartbeat, or arrhythmia, that can be dangerous and now can be addressed with a pacemaker. "Had this accident not happened, my mom could have been gone at any time," he said. "You hate to use clichés, but this is a Christmas miracle." The sheriff's office said the shooting was being investigated not as a miracle, but as an accident.